the US on AT&T and T-Mobile (without 3G). 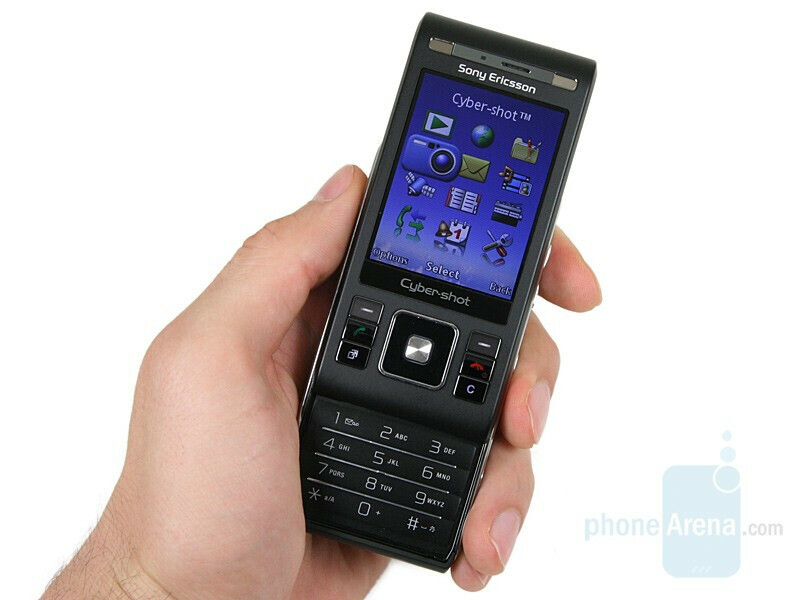 Up until now, the maximum camera resolution in a phone available on the market (except some Asia-only models) was 5MP, but not long ago, Sony Ericsson raised the cameraphone standard, announcing the 8-megapixel C905, going a step forward towards the next generation. 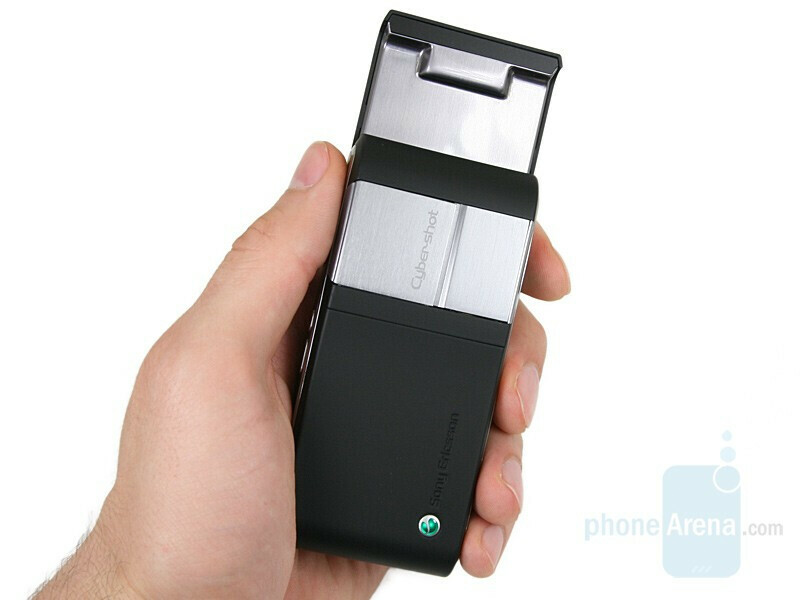 C905 employs quite a few innovations product of the company. 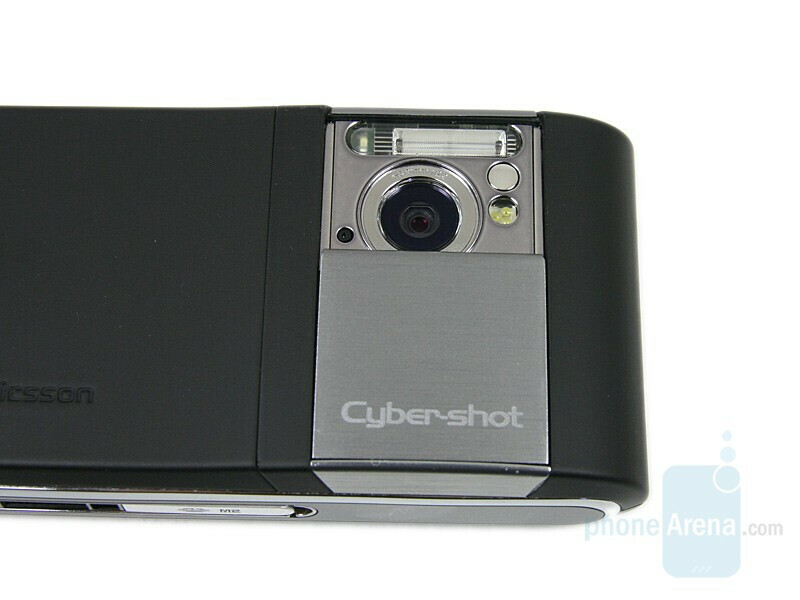 It is the first slider from the Cyber-shot series and the first non-smartphone equipped with WiFi. Aside from the DLNA support, which for example, lets you view wirelessly the pictures from the phone on the TV. The top model is equipped with GPS, to make orientation easier. 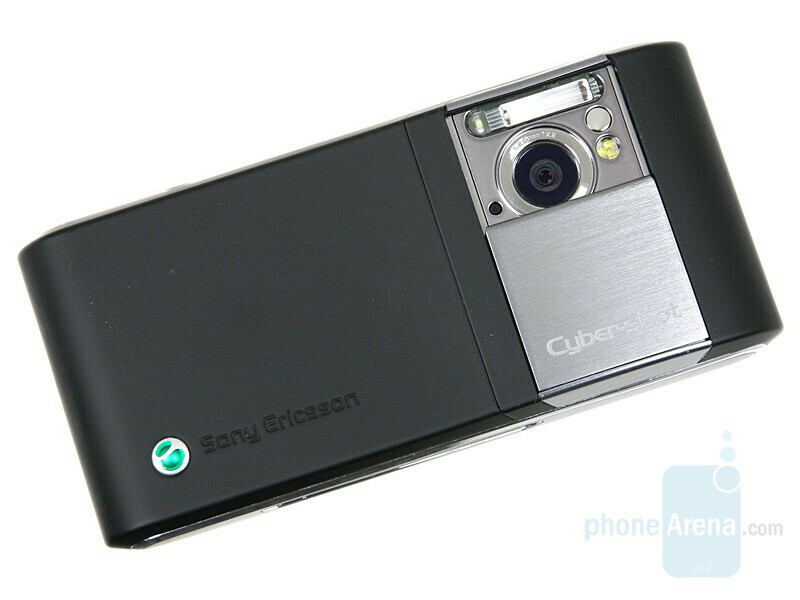 As Sony Ericsson claims, C905’s design really reminds us of the pocket digital cameras. That’s traditional for the manufacturer, but this model is the best so far in this aspect. Even though it is a slider, that is hard to notice it since the phone creates the impression that it is one whole. Its size and weight definitely make it unfit for the “compact” class, but that can be expected from a phone pretending to offer such functionality. 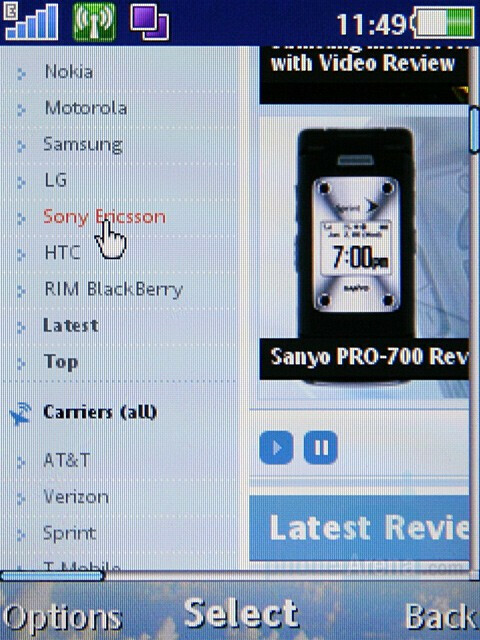 You can compare the Sony Ericsson C905 with many other phones using our Size Visualization tool. The 2.4” display has the standard QVGA resolution and supports 262k colors, but is larger than the ones seen in the previous cameraphones. Typical for the series, there are two fast access buttons for over it (pictures review and camera functions), and the presence of a green and red receivers is a tradition already. 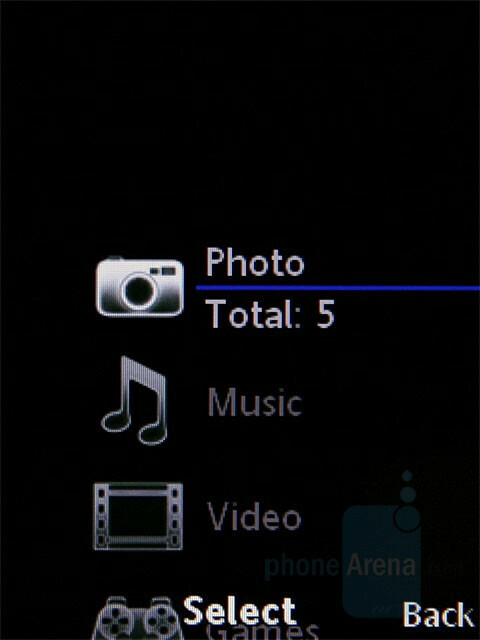 Since the camera function can be used even with the phone closed , there are no additional shortcuts assigned to buttons of the numeric keypad, and the four directions of the navigational key are used instead. The dedicated icons will only light up in blue, once the camera has been switched on. On the left side, we have only the M2 card slot and the charger/earpiece connector. The camera buttons and the volume controls are located on the opposite side. In this model, the tri-positional slider seen in К850 and used for switching between gallery, pictures and video, has been replaced by two separate keys. There is absolutely nothing in the upper part of the C905, and the speaker is the only thing to be found on the bottom. The most interesting side of all is the back one since there is the 8-megapixel camera. In contrast to K850, its protective cap doesn’t open automatically, and it slides manually like in K800/K810. When you slide it however, it is not protruding but flat, even though this part of the phone is bigger. This is a new type of mechanism and when it is being opened, its lower part sinks and when its being closed it emerges again. Underneath we have “hidden” the Xenon flash and the LED light used for focus assisting and when shooting a video, mini mirror and the lens, of course. 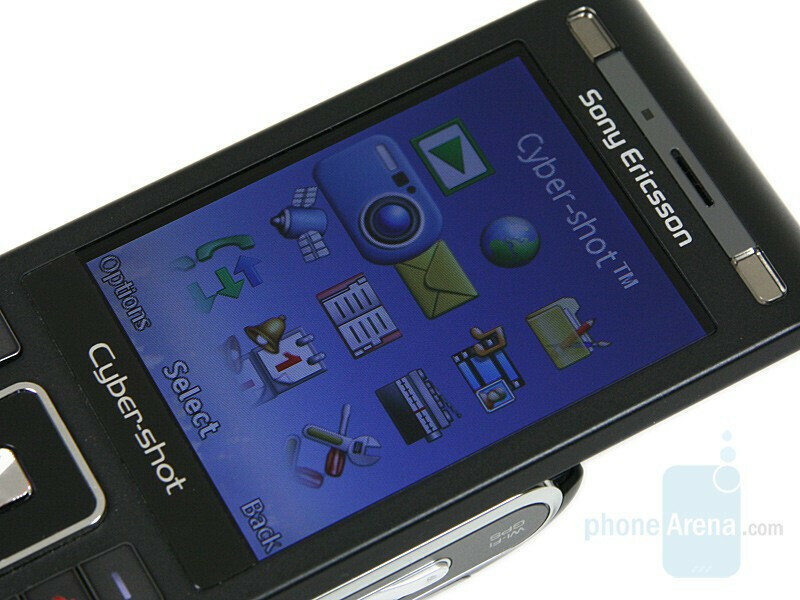 It is interesting that such a flash is used even though the manufacturer was, claiming that overall, the PhotoFlash, also developed by Sony Ericsson’s engineers (based on LED and employed in C902), is better. Don't forget to check our Gallery for more pictures. 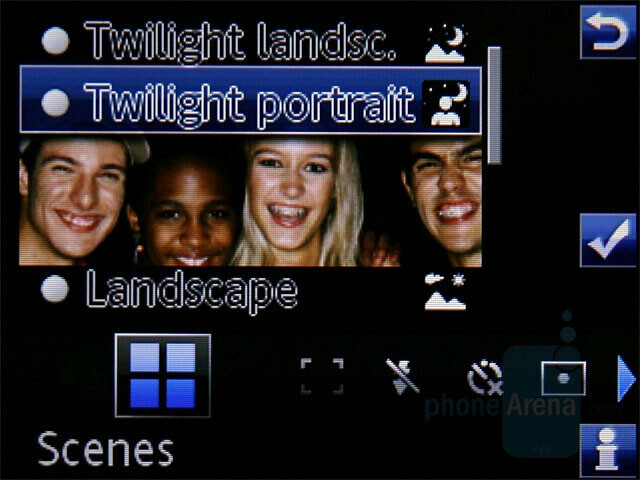 From K850 and W910 on, the A200 generation software is used in the high-class, non-smart SE phones. This model is not an exception, but C905’s version is slightly upgraded and is also present in W980, C902 and C702. 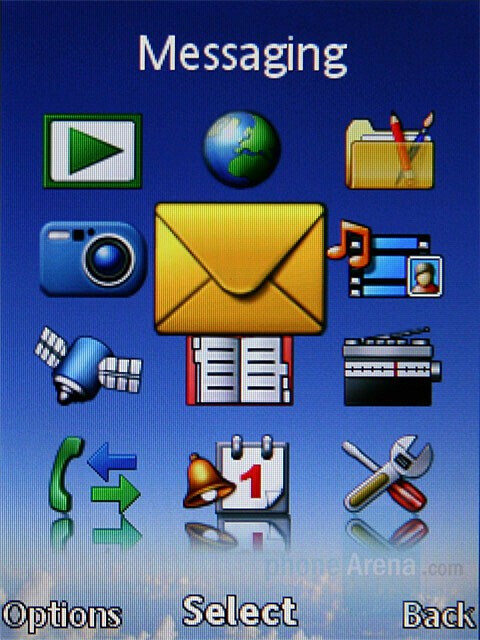 In the previous models, some of the themes had animated flash images for the homescreen background. However, in this one, the Cyber-shot theme visualizes a few different pictures as a slide-show. 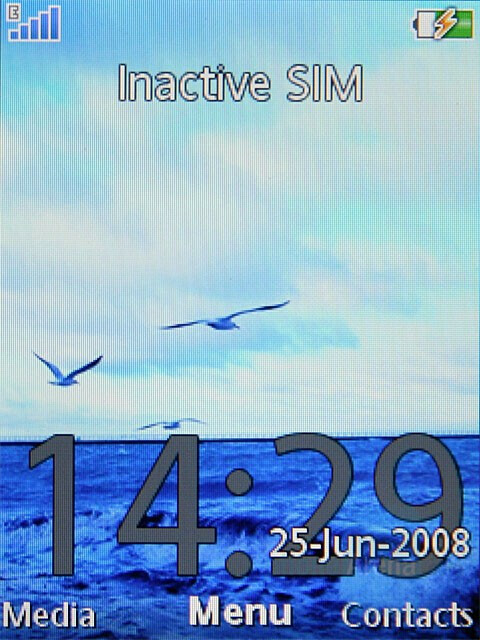 In addition, the background can be influenced by applications, as with the phone comes one „Slideshow wallpaper”. As the name hints, it will show pictures from the camera album. 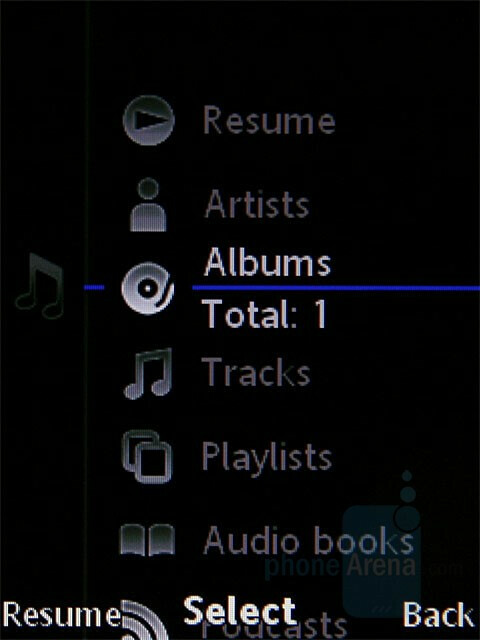 The main menu has also suffered from the evolution and there already are a few theme independent views. You can choose between the standard view, Rotating (the icons appear as a film) or Single icon (the icons are visualized one by one on the entire screen and slide vertically). 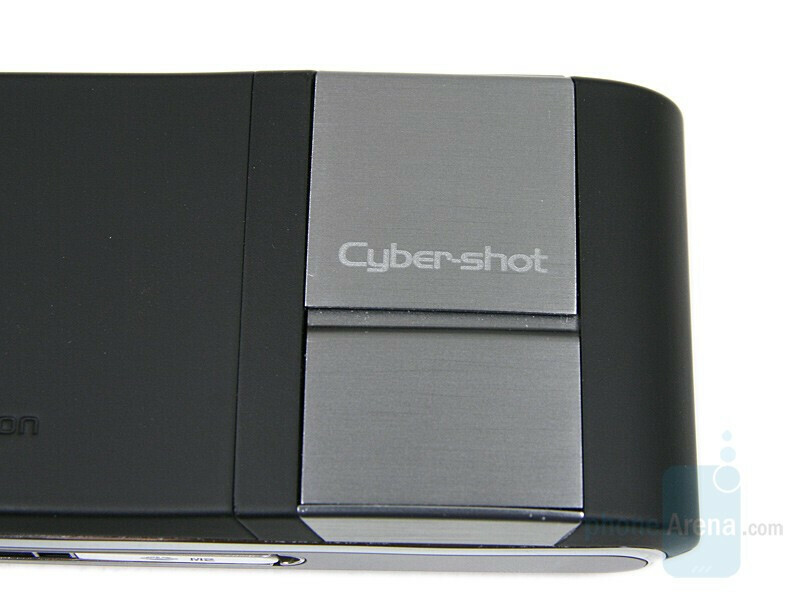 C905 has the Multimedia menu with flash interface we know from the previous models. It is slightly modified and besides Photo, Music, Video and Settings, now, you’ll find Games and Web Feeds. The motion sensor will automatically rotate the interface, depending on the how you are holding the phone (vertically, horizontally). 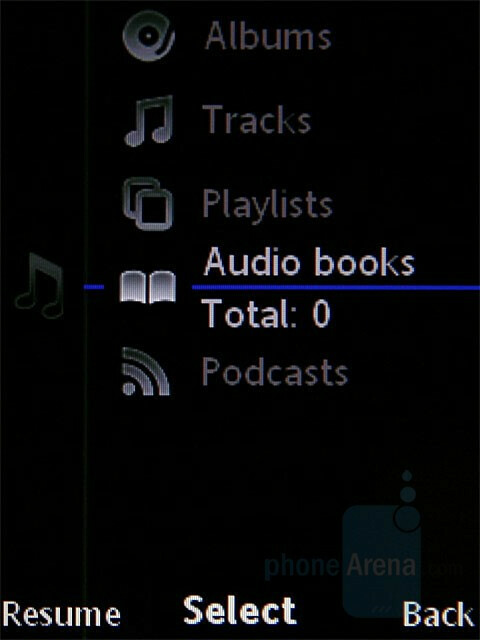 In the submenu Music, you can arrange your tracks by few criteria: artist, album, all tracks, playlists, audio books and podcasts. 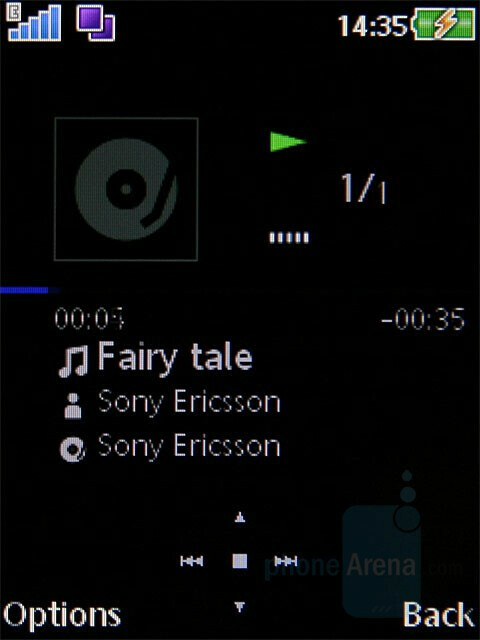 The music player will not surprise you and it has the interface similar to Walkman that you’ve seen in the previous models.Overall, Sony Ericsson performs quite good in this aspect. 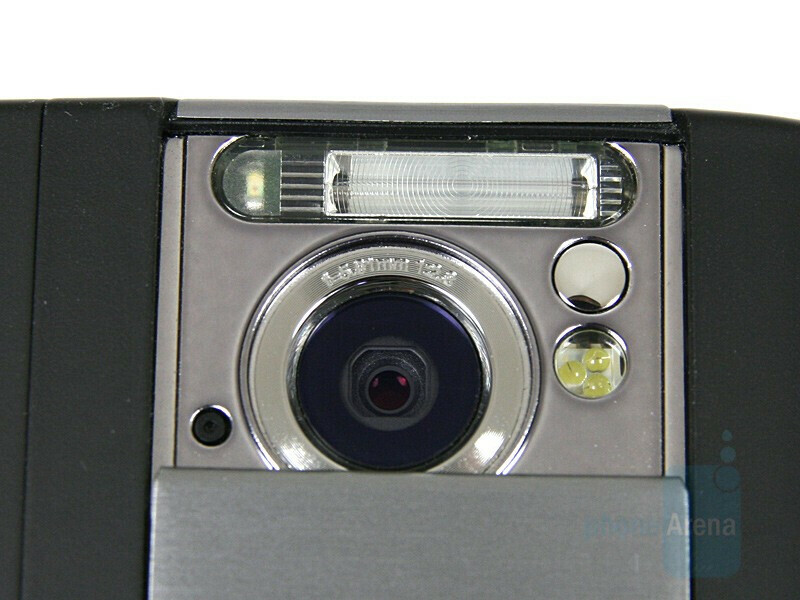 The main function of the model is its 8-megapixel camera with Xenon flash. Compared to K850 and C902, the interface has not suffered almost any changes. You cannot switch to video recording or photo view from the d-pad directions since they have the exposure compensation, flash, self portrait and focus settings attached to them. Nevertheless, there are separate buttons for the various modes, so that wouldn’t be a problem. 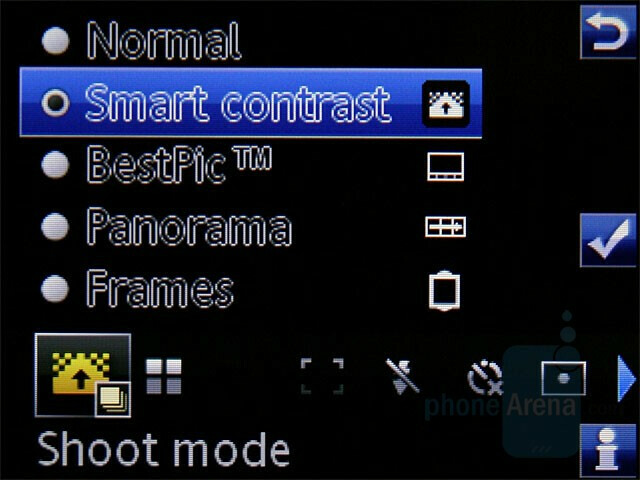 However, taking pictures with Smart Contrast is an innovation. 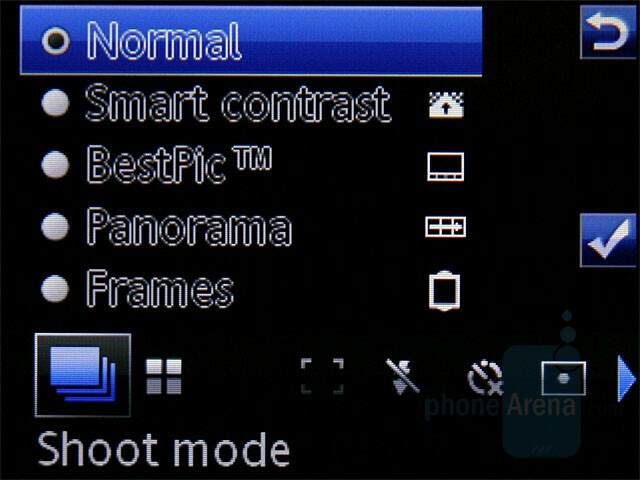 With its help the phone will try to enhance the colors and the contrast of the photograph made. It’s strange, but this software lacks ISO settings, which are otherwise present in K850. Unfortunately, the video recording is still not one of the strengths of the brand, despite the high-class cameras. 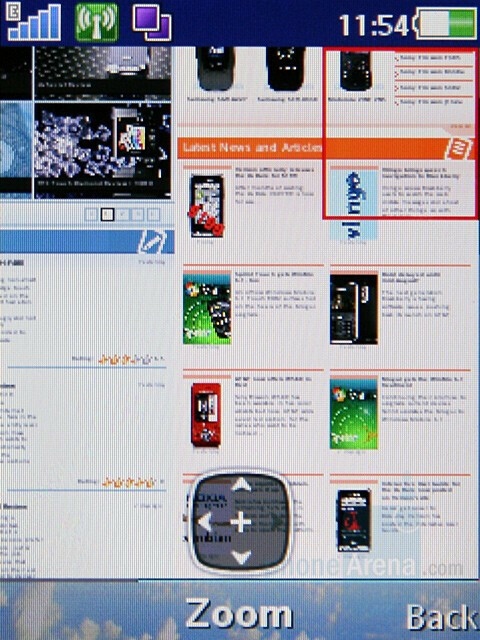 N95, which has been out for a few years now, is able to record clips with VGA resolution and a quite good quality. In contrast, C905 is only able to get the quality up to QVGA, which is 4 times less. As we have already mentioned, C905 is the first non-smart SE phone with built-in WiFi. Its main idea is to be used for applications that require a great amount of data transferred such as the Internet browser and the email client. 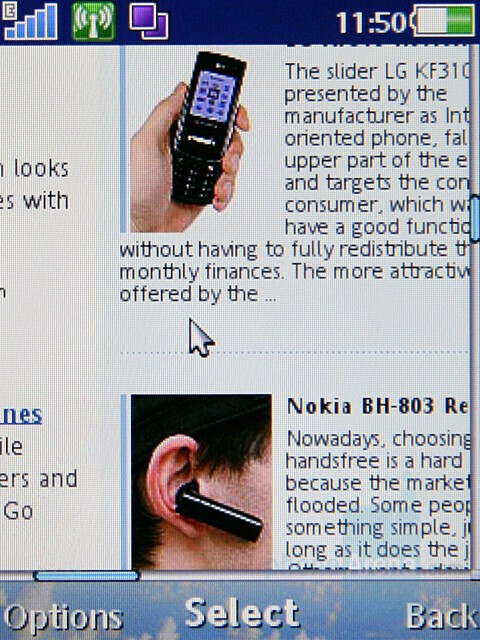 Browsing sites with the phone is a pleasure, just like in G502 and although that is not that easy as in the touchscreen models (iPhone, Touch Diamond), the fact that it visualizes pages correctly, it has an easy access pan mode (#) and it rearranges the text according to the screen, makes it very user-friendly. 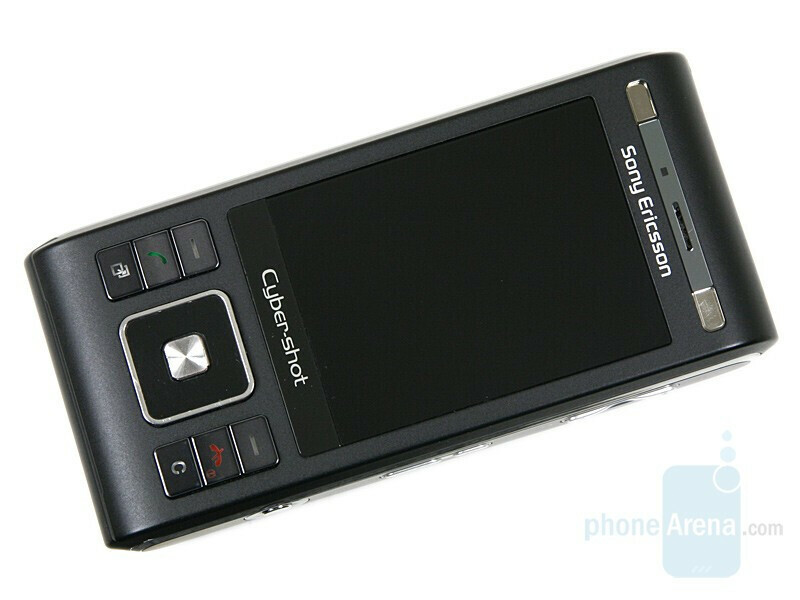 C905 is the next Sony Ericsson with GPS, following W760, C702 and Z780. 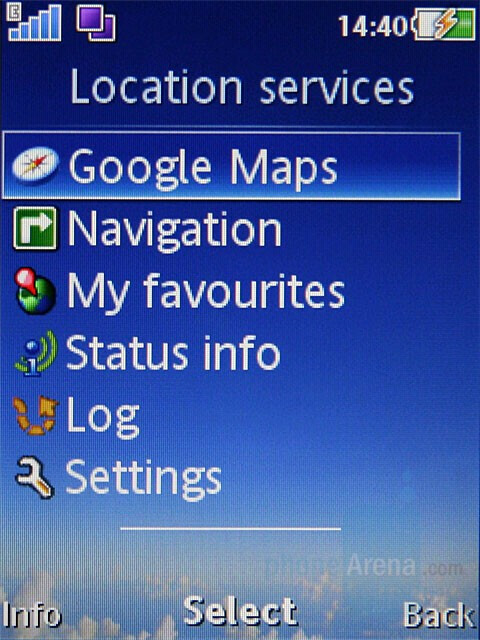 Same as them , it comes preloaded with Google Maps and Wayfinder Navigator, which can navigate but is expected to be a demo version. So far C905 looks like a very perspective model. The main feature being its camera, but we will see how it will perform in the future. We are disappointed from the limited video recording capabilities, but as if the good software in combination with the overall functionality compensate for that. 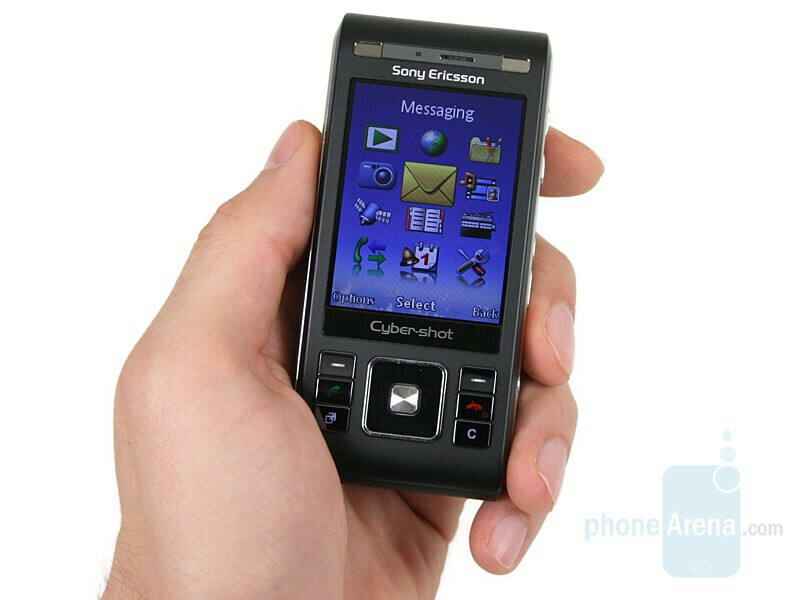 Check out the next page for 360 Degrees View of the Sony Ericsson C905. Expect our review as soon as we test a final model and not a prototype. more noise please lol. other 5mp models look just as good (good is a relative term). The megapixel myth strikes again! The camera photos look so bad, good thing this is just a prototype! 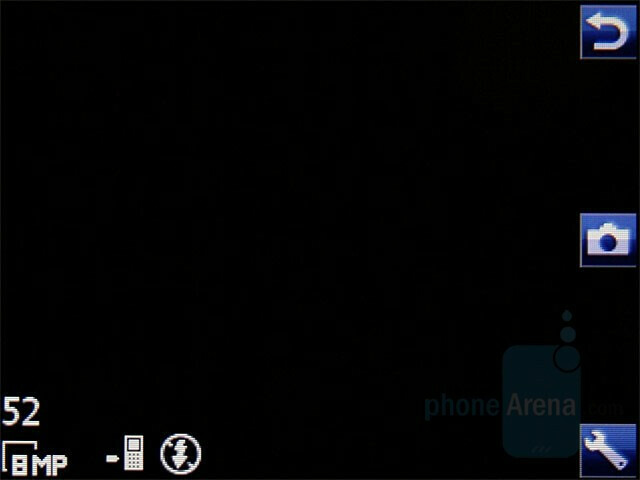 From the pictures I saw of the phone, it seems like PhoneArena's got the old version of the protorype. There's a new one which takes much better photos. Indeed it is an old proto. The new ones say "8.1 Megapixel" on the side and not "8"
I've posted this elsewhere and no one's had a clear answer: will it take MicroSD cards as well as M2--like the K850i and (apparently) the Xperia X1? Since you're still working on the review of an actual unit, I'm hoping you can test this. I'd really like to have the compatibility with other devices that that would mean! any idea about the launch date in INDIA and opening price?